If it wasn’t bad enough that sugar played tricks on you during meal time, it also increases the frequency of your meal times. We have a hormone in us called leptin. Leptin is responsible for telling the brain that we have stored enough fat, in turn the brain turns off the feeling of hunger and raises the metabolism. Fructose makes the brain resistant to leptin, it no longer sees that we have filled our fat reserves, so we keep eating, and our metabolism slows to preserve energy. This leptin resistance caused by excessive sugar consumption causes us to starve for more sugar, and just keep eating and eating. When refined fructose enters the bloodstream it causes the largest insulin spikes. Insulin’s job is to clear the bloodstream of glucose which has been converted from carbohydrates. If the level of glucose rises too high, it can become toxic; insulin is important. 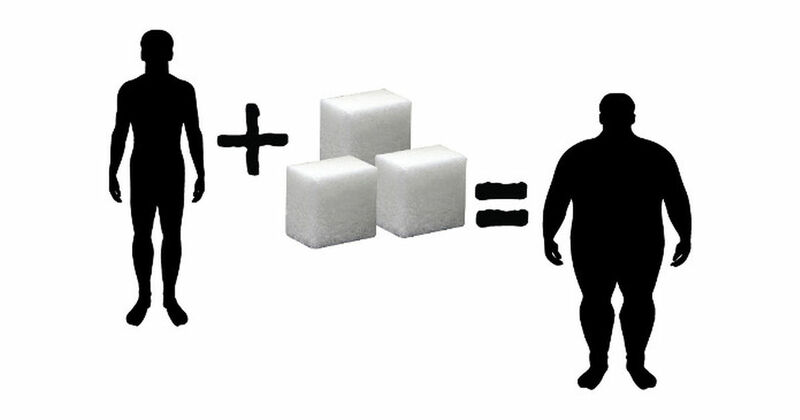 Excessive sugar consumption causes the body to need more insulin to get the job done. Once this happens, we have insulin pumping all of the time. Insulin stores the cleared glucose as fat, and if you have insulin working overtime, you become a fat producing machine. If you really push things too far, type 2 diabetes can develop out of this.